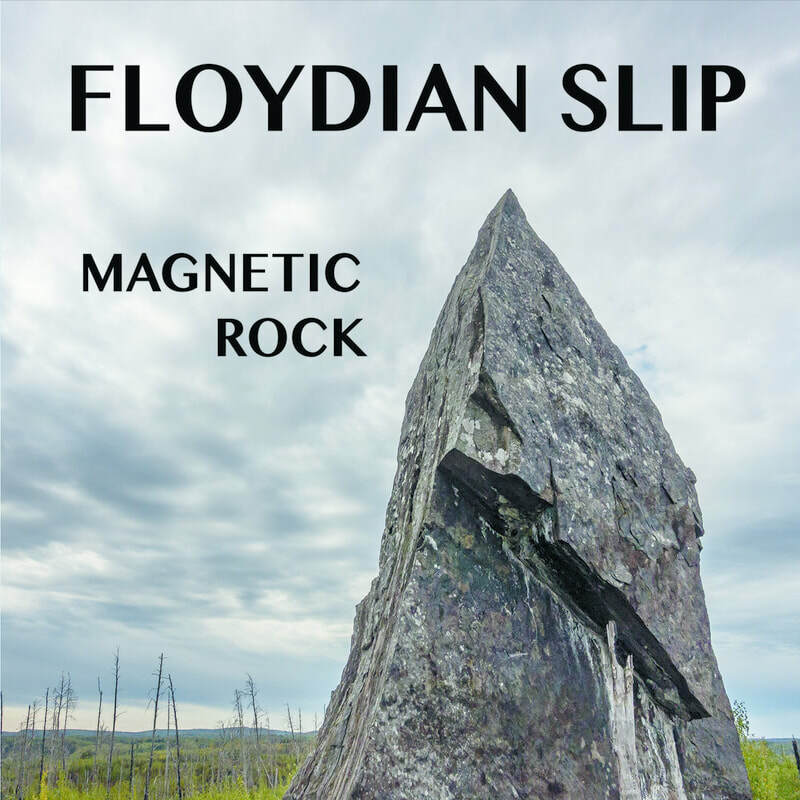 The New Album "Magnetic Rock"
​The new album Magnetic Rock from Floydian Slip, their first since 2006, exhibits a maturity of songwriting, a performance illustrating their improvisational abilities, and a comfort with the musical chemistry that are all hallmarks of this ensemble. Over two years in the making, the release, recorded in their own studio in Washburn, Wisconsin, consists of eleven original songs crafted and tested at live shows over the past decade. “We took our time with this one!” the band likes to joke, and the result is worth waiting for. The album opens with the catchy folk-rock song “Eirene”, inspired by the Greek goddess of peace and prosperity, and then moves into the sparse reggae number “Silence” which reminds us there is still work to be done since the days of Rosa Parks. The album takes a turn into jazzy jam-land with Siskiwit Bay Lullaby before rocking out with the straight-ahead “Time Cannot Be Borrowed”. The powerful “Skeletons in the Desert” precedes the lighthearted bluegrass reminder to “Get Off the Couch”, and then “Romance the Phone” pulls you deep into the world of mysticism. The quirky reminder to let your “Reptile Drive” rolls towards the nostalgic hippy-samba tune “New Samba For an Old Friend”. By the time you hear the deep skankin’ “Swim in the Sea” you think you have travelled through many dimensions, and the album finally resolves with the sweet and melancholy “Last Star”. Magnetic Rock demonstrates the diversity and creativity of Floydian Slip, and will prove to be a solid addition to their discography as well as an important contribution to the Jam Band genre as a whole.